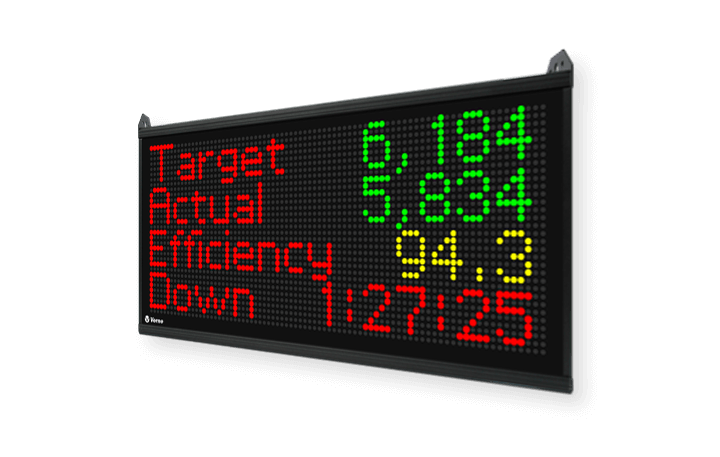 Improve with OEE Visual display XL 800. The XL Productivity Appliance™ is an extremely flexible and powerful tool for improving manufacturing productivity. Our goal with XL 800 is simple – make it incredibly easy for you to achieve unprecedented improvements in manufacturing productivity. We have one simple goal. Improving manufacturing productivity! To give you a better sense of how OEE Visual display & XL 800 can help, we have put together a collection of popular manufacturing improvement initiatives and applications that are enhanced by XL 800. Have you ever heard of the “hidden factory”? It’s a really useful concept, based on the fact that most equipment is not used anywhere near its true capacity. 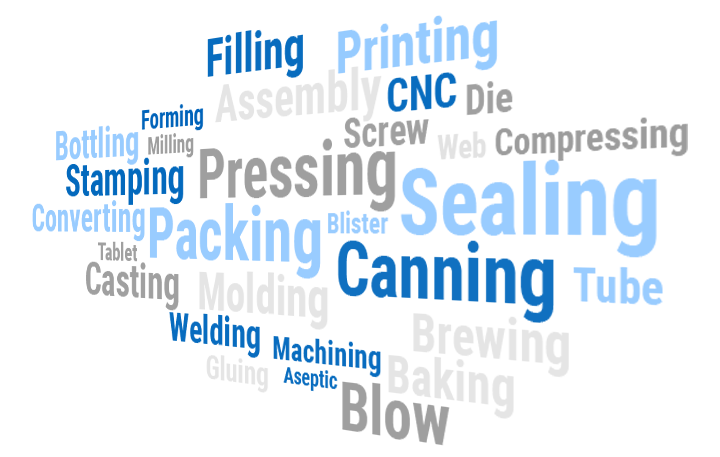 In fact, the difference between typical manufacturing (OEE score of 60%) and world-class manufacturing (OEE score of 85%) represents a 41.6% increase in capacity. 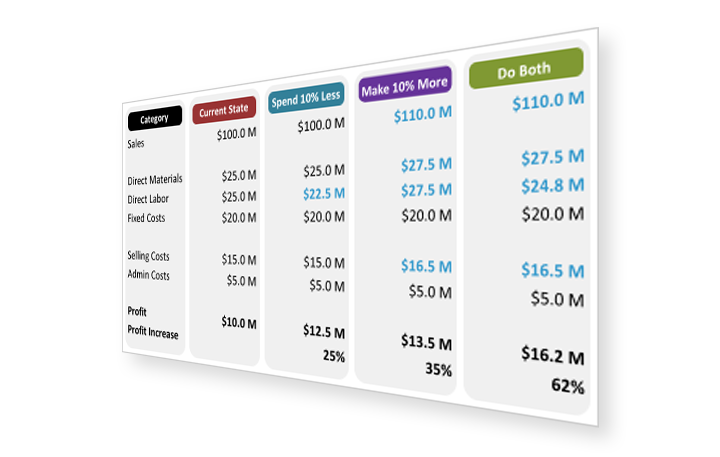 So before you purchase new equipment to increase capacity, make sure you know how much-untapped potential there is in your factory. Cycle time loss occurs whenever equipment runs slower than its maximum theoretical speed (the Ideal Cycle Time). It’s an aspect of production that benefits greatly from automated measurement as cycle losses are extremely difficult to capture manually. 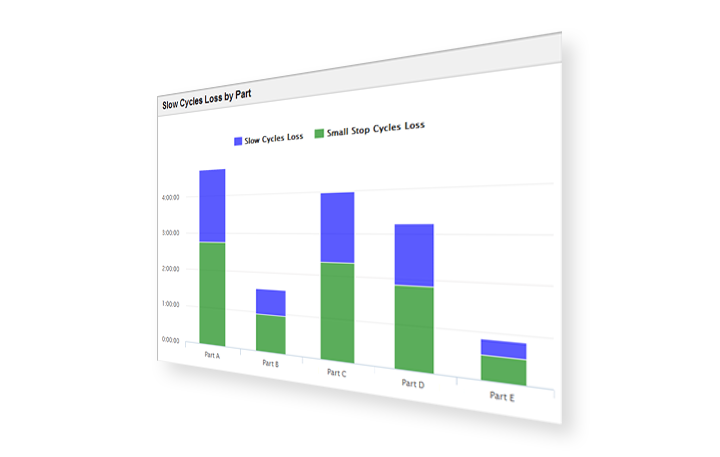 As a result, many manufacturers find that cycle time losses are hidden – they are not tracked and not acted upon. Down time typically gets a high level of focus in manufacturing. 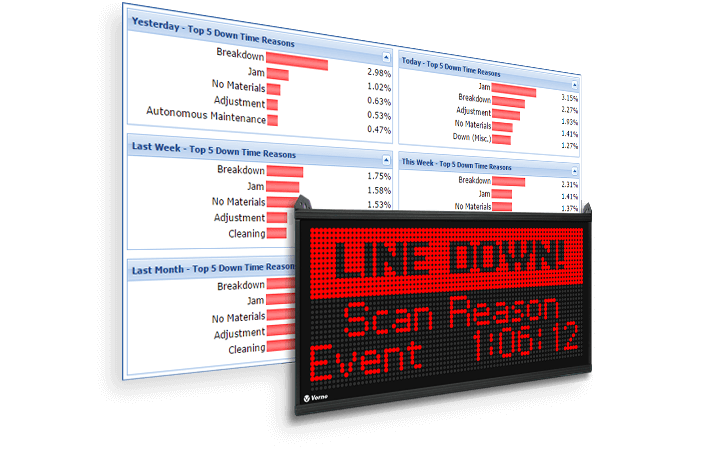 Equipment failures and breakdowns are highly visible, and for most manufacturers, unplanned stops are the single largest source of lost production time. Reducing down time is often the fastest and most direct path to improved manufacturing productivity. Unfortunately, many companies don’t realize that their down time information is both inaccurate and insufficient. Fortunately, this is an easy problem to fix. 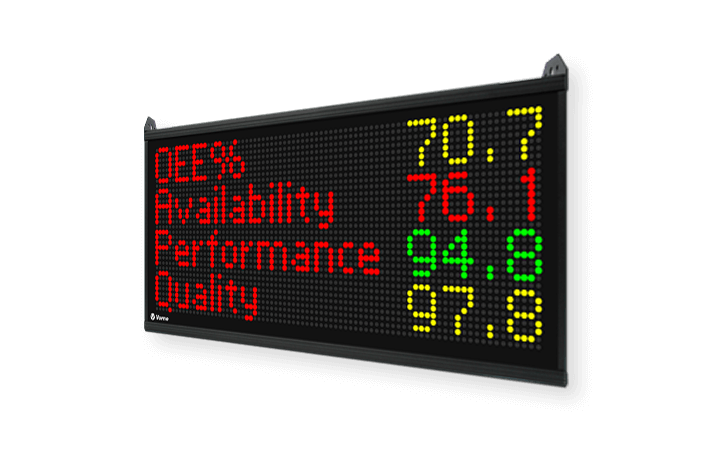 Displaying your OEE score in real-time brings an entirely new momentum to OEE improvement initiatives. OEE reports are usually only available to managers as a record of what happened in the past. You can learn from the past – but you can’t change it. On the other hand, you can most definitely change the future, and the best way to do that is to take action today – preferably right now. 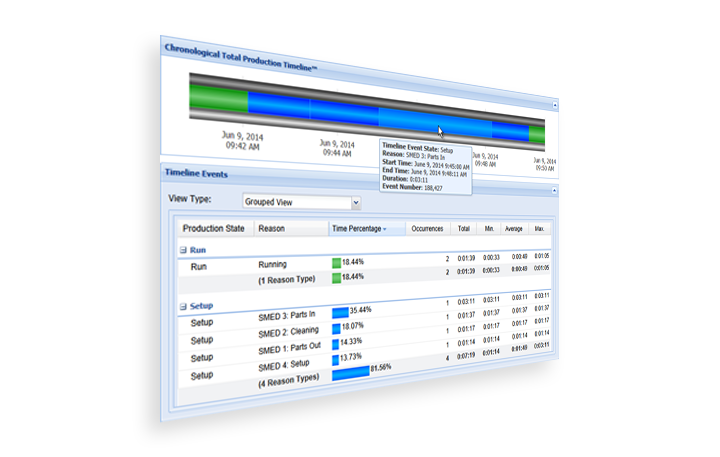 Use production counters for much more than just counting – use them to drive improved productivity. 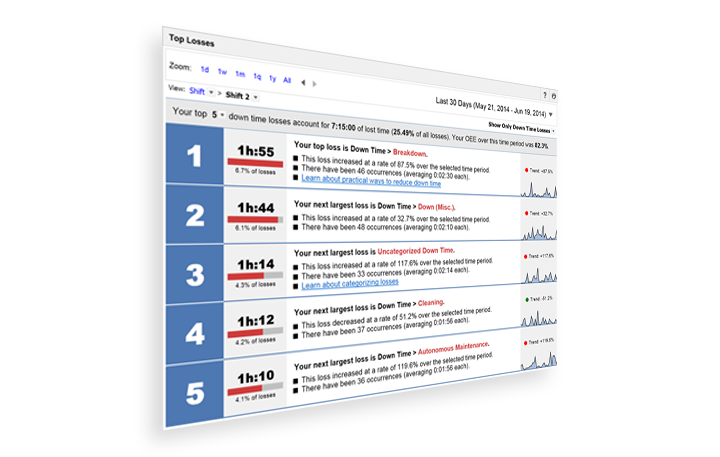 Did you know that with just two sensors you can generate literally dozens of meaningful and insightful metrics that will help you improve manufacturing productivity? 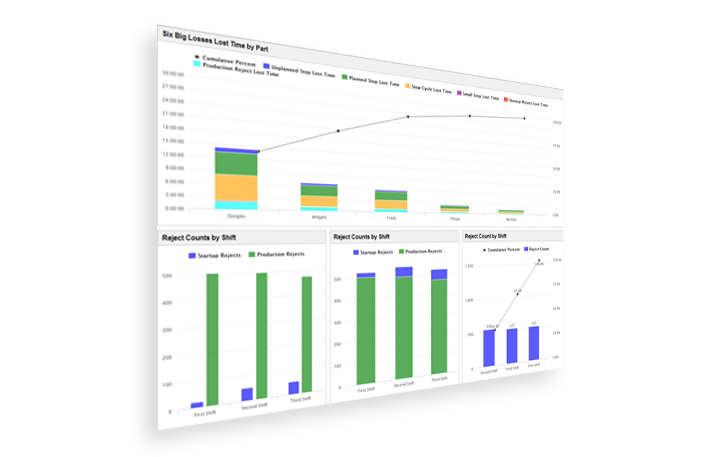 Metrics like Down Time, Run Time, Cycle Time, First Pass Yield, Efficiency, OEE, TEEP, and so, so much more. 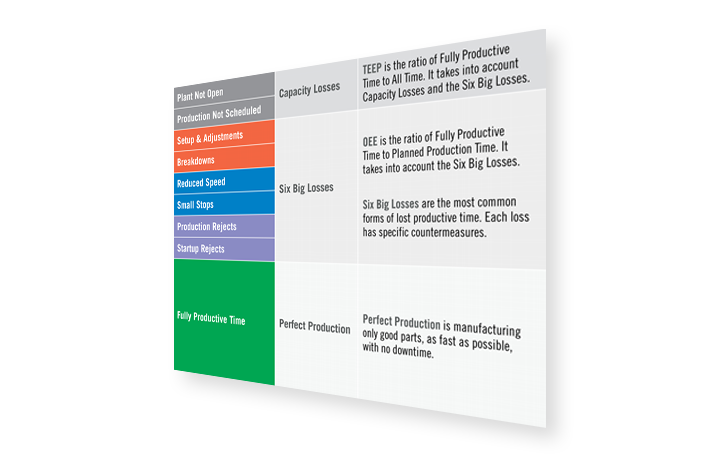 One of the core Lean Manufacturing principles is to use Takt Time to match the pace of production to customer demand. 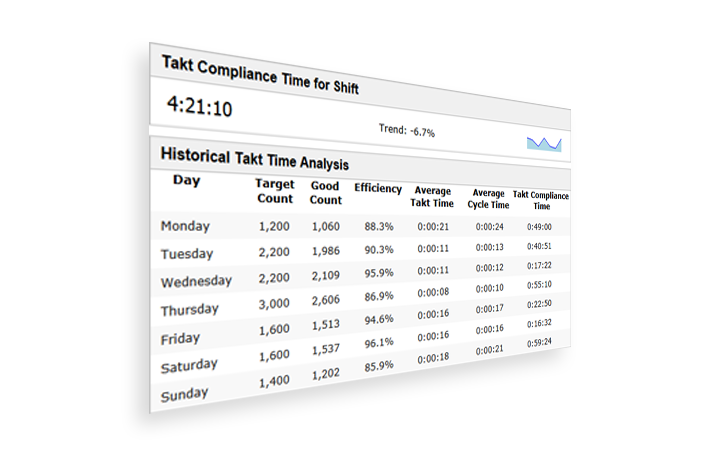 In practice, many companies choose to use Takt Time in a slightly different way – to pace actual production to the expected rate of production (the customer, in this case, being an “internal” entity). Got a question? We love helping, and we love questions! Whatever your question, we will provide practical solutions to your real-world problems.